We all know very well that how the tech giant Google’s most used web browser, of course, I am talking about none other than Chrome slows down computer simply by eating RAM memory. But, now the tech giant Google’s most used web browser, of course, I am talking about none other than Chrome just got an awesome new feature which will simply force Chrome to eat less RAM. If you use the tech giant Google’s most used web browser, of course, I am talking about none other than Chrome then you would know how much Google Chrome actually slows down your computer. We all know that the tech giant Google Chrome has always been criticized for memory consumption on devices. However, now after lots of criticism finally the Mountain View company, of course, the tech giant Google is already working on an upgrade that will consume less RAM, making exactly the same use of the Google Chrome web browser. Currently, this new feature is being developed and going through several tests in Google Chrome Canary. In this version, which has a more advanced development than the version that most users use, it is already available but not enabled by default. 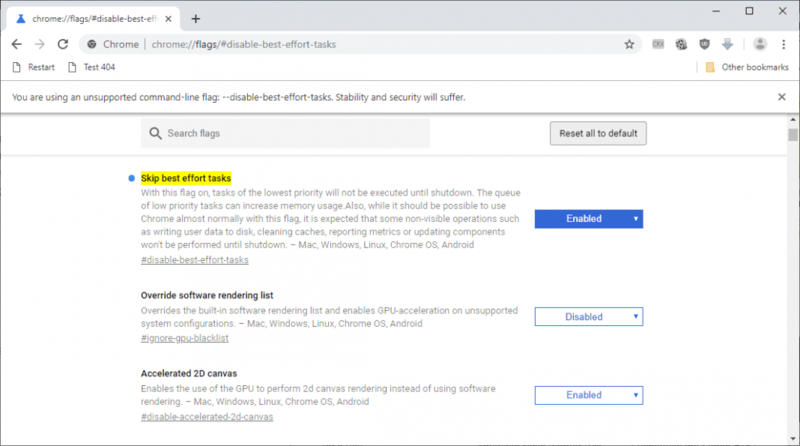 To activate it, you have to access “chrome://flags/#disable-best-effort-tasks” (without quotes) and then simply restart the web browser to apply the changes. The ‘low priority tasks’ are not executed until they are closed. Quite simply, right, the low priority task queue is reduced to reduce RAM consumption only. Moreover, the tech giant Google will not modify the behavior of tabs and extensions as independent processes, as this is what guarantees greater security for users and the device, and also maximum stability as well. However, there are other tasks of low priority carried out by the web browser that can be eliminated, or simply delayed. And this is what this characteristic does, in such a way that the consumption of resources is reduced. Unfortunately, at the moment, we do not have exact details about the reduction of RAM consumption, but what we know is the cleaning cache, telemetry or updating components are affected. It is not the only feature that the tech giant Google is currently working on, over Google Chrome, and with the intention of improving performance in more limited devices at the hardware level. However, this latest feature will usually take several weeks to arrive in the stable version of Chrome. So, what do you think about this? Simply share all your views and thoughts in the comment section below.